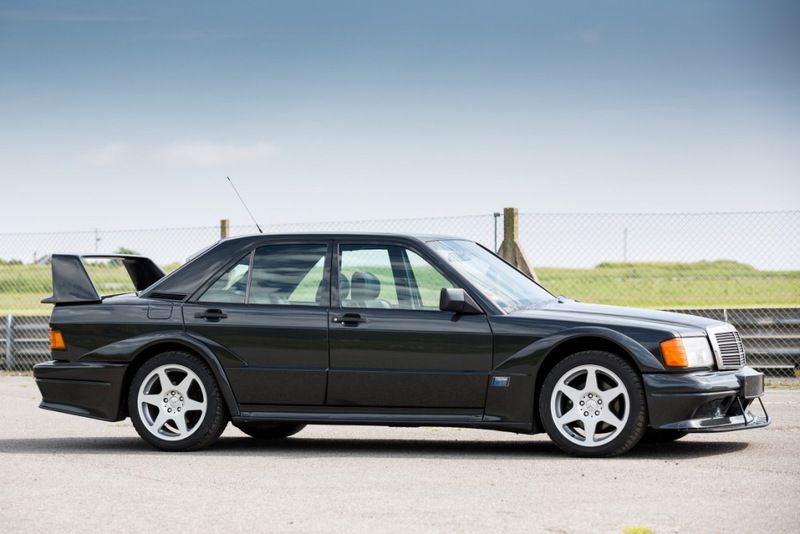 A 1990 BMW E30 M3 Sport Evolution (Evo III) and a 1990 Mercedes-Benz 190 E 2.5-16 Evolution II will compete for buyers at Silverstone Auctions’ Classic Motor Show Sale at the NEC, Birmingham. The two long standing rivals offer a rare opportunity for fans of Group A Touring cars to own low mileage examples of the German legends. The cars will be offered at auction on 12th November as part of Silverstone Auctions’ biggest and final sale of the year. 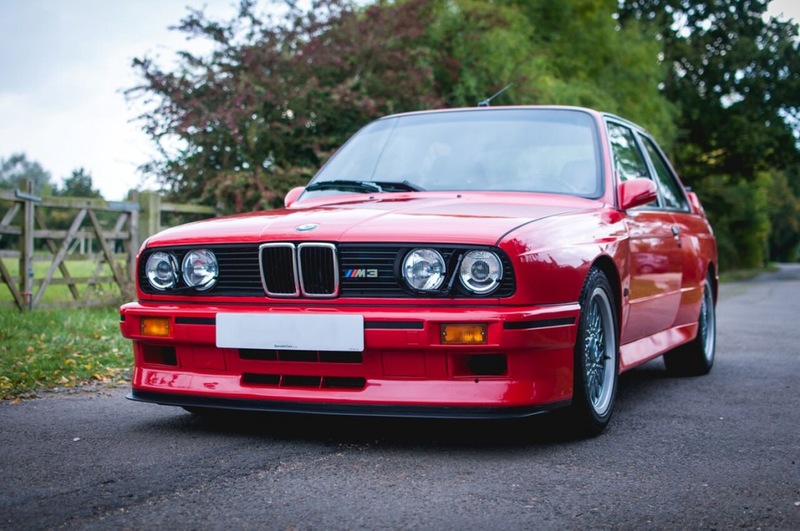 A pair of German touring car legends, a 1990 BMW E30 M3 Sport Evolution (Evo III) and a 1990 Mercedes-Benz 190 E 2.5-16 Evolution II, will compete for buyers at Silverstone Auctions’ Classic Motor Show Sale at the NEC, Birmingham, on 12th and 13th November. The long-standing rivalry between BMW and Mercedes-Benz which carried over into motor racing has helped to hone some of the greatest Touring Cars of the era, with the Evo II set with the unenviable task to win against one of the best touring cars of all time, the E30 M3. 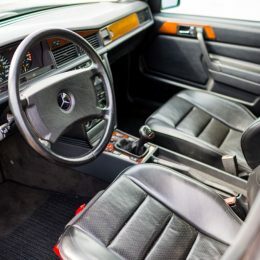 Now, in a rare opportunity to acquire two of the finest road car examples rarely available on the market, BMW and Mercedes-Benz will once again go head to head, this time in the auction hall. 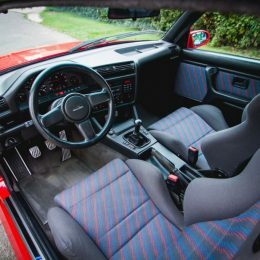 On the open market for the first time since 2002, this limited edition 1990 BMW E30 M3 Sport Evolution (Evo III) is one of only 600 M3 Sport Evolutions built in late 1989 and early 1990. First registered in Germany to BMW’s tuning arm Alpina on 10th March 1990, chassis number AC79160 was imported into the UK shortly after by Sytner Group, finished in Brilliant Red with the desirable Grey Motorsport cloth interior and options including electric windows and sunroof, on-board computer and headlamp wash-wipe system. The car was then sent to BMW specialist Windynook Motorsport, Preston, where it was used as a company demonstrator for 19 months and treated to a series of upgrades sourced from Norfolk-based BMW specialist, Rossiters Ltd, including lowered springs, adjustable anti-roll bars, heated racing door mirrors and a rear panel. Owned since by BMW Car Club members and always maintained to the highest degree, the matching numbers example comes with a full service history which shows past work completed by BMW dealerships and BMW specialists, accompanied by all the MOTs and manuals including the special Sport Evolution handbook and service book, along with the full BMW toolkit as originally supplied. 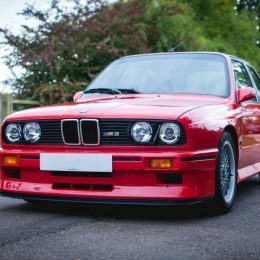 Being the last, fastest and greatest version of the iconic E30 M3 range, and with 65,002 miles from new, the car goes to auction with a sale estimate of between £95,000 and £115,000. 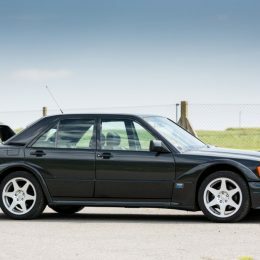 Also competing for a buyer is a 1990 Mercedes-Benz 190 E 2.5-16 Evolution II, number 28 of a limited run of just 500 produced. Presented in ‘Blauschwarz’ metallic paint, the car features a Black Anthracite leather interior with wood trim, numbered dog-leg gear stick, air conditioning, a fire extinguisher, rear mounted loudspeakers and heated front seats. The car has had five previous owners and has been treated to a program of light corrective works courtesy of the current owner, carried out by race engineers Stancombe Vehicle Engineering, with the bodywork cosmetically enhanced by Harris Coachworks. Still in wonderfully original condition, this Evo II has clearly been well cared for, the service book showing three stamps at the correct intervals. 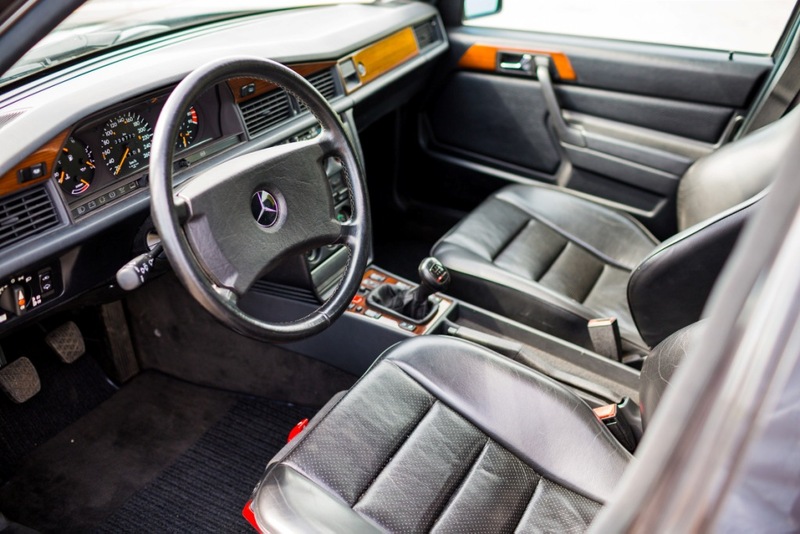 The car even retains the original Mercedes-Benz factory stickers in the windscreen, a testament to the car’s originality. Presented for auction with a UK registration, a fresh MOT and reading a mere 25,500 miles, the Evo II has a sale estimate of between £100,000 and £115,000.